Dr. Yong, in a lecture on able theology. Learn more. 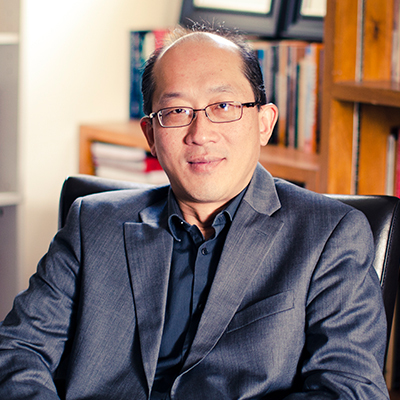 Amos Yong came to Fuller Seminary in 2014 from Regent University School of Divinity, where he taught for nine years, serving most recently as J. Rodman Williams Professor of Theology and as dean. Prior to that he was on the faculty at Bethel University in St. Paul, Bethany College of the Assemblies of God, and served as a pastor and worked in Social and Health Services in Vancouver, Washington. 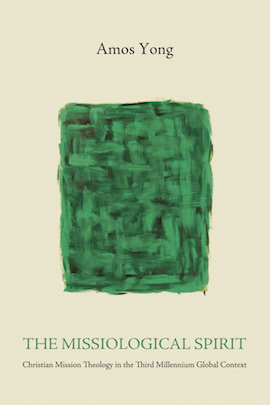 Yong’s scholarship has been foundational in Pentecostal theology, interacting with both traditional theological traditions and contemporary contextual theologies—dealing with such themes as the theologies of Christian-Buddhist dialogue, of disability, of hospitality, and of the mission of God. He has authored or edited almost four dozen volumes. 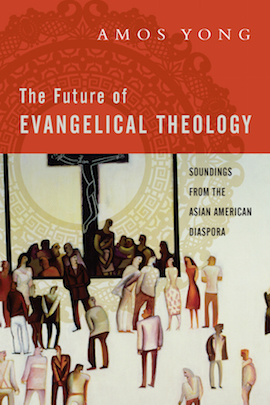 Among the most recent are The Future of Evangelical Theology: Soundings from the Asian American Diaspora (IVP Academic, 2014); Renewing Christian Theology: Systematics for a Global Christianity, with Jonathan A. Anderson (Baylor University Press, 2014); Interdisciplinary and Religio-Cultural Discourses on a Spirit-Filled World: Loosing the Spirits, coedited with Veli-Matti Kärkkäinen and Kirsteen Kim (Palgrave Macmillan, 2013); Pneumatology and the Christian-Buddhist Dialogue: Does the Spirit Blow through the Middle Way? 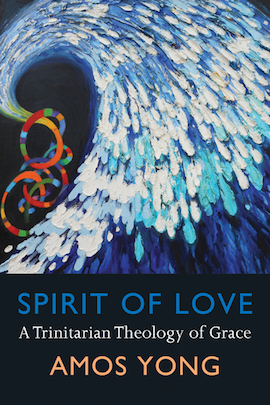 Studies in Systematic Theology 11 (Brill, 2012); The Cosmic Breath: Spirit and Nature in the Christianity-Buddhism-Science Trialogue, Philosophical Studies in Science & Religion 4 (Brill, 2012); and Spirit of Love: A Trinitarian Theology of Grace (Baylor University Press, 2012). He has also authored 200 (and counting) scholarly articles in a wide range of peer-reviewed journals, edited book collections, and other venues. Dr. Yong is past president of the Society for Pentecostal Studies. Download Dr. Yong’s CV, which includes a list of his current publications, here. Watch Dr Yong present at the 2018 American Society of Missiology Annual Meeting.